Powerful data recovery program easily works on Windows operating systems including Win 7/Vista/XP/Server2008/Server2003/Server2010 and other higher versions and recover data from various USB devices even if files lost while using on Linux, MAC OS X and Apple Macintosh machines. 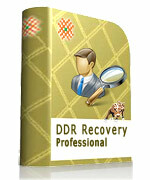 You need not to go anywhere else, just install the DDR Professional Recovery Software on Windows OS based machines, connect the drive (including Memory card, Digital camera, USB drive, External HDD, Music players) and get back lost data in easiest way. Easy to use software does not require special training or consulting any specialist to perform the recovery task, since it can be easily operated even by novice users.